I need to get black pantyhose in bulk. I swear I wear them maybe twice and immediately get a run. It probably doesnt help that my dog feels the need to jump all over me when I get home from work thus resulting in the majority of the runs. I love your 90's-tastic floral dress! 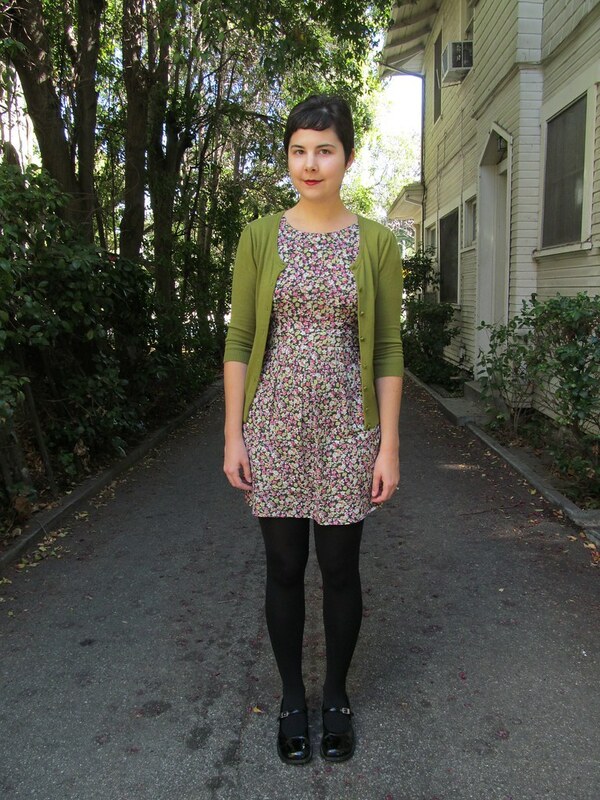 The black tights look great with it and your cardigan is a really pretty color. I have no idea where you'd find black tights in bulk though. Maybe walmart would have multi-packs or something?